On my eyes I decided to try out one of the two Burberry Sheer Eyeshadows I picked up (which I talked about here), in the color Pale Barley. 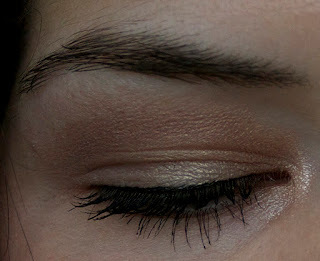 After starting with a base of NARS Pro Prime Smudge Proof Eyeshadow Base, I put Pale Barley all over the lid and blended Jemma Kidd Vanity Fair, a matte mid-tone brown shade, into the crease. As usual, I used Urban Decay Virgin as a brow highlight and Urban Decay Sin around my tear duct. I used a black felt tip eyeliner above the lash, and a bit of Urban Decay 24/7 Liner in Underground on the outer corner of my lower lash. 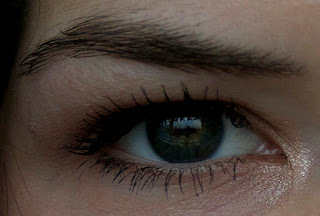 Lastly, I used Giorgio Armani Eyes to Kill Stretch Mascara in black. This mascara is certainly pricy, at $30, but sooooo worth it. The first thing you'll notice about the wand is that it is weighted...the extra weight is meant to give your hand stability so that you can apply the mascara easier, without any smudges. It also has a unique, slightly flattened brush shape and so far I am loving the results. This mascara definitely elongates my lashes, but also adds a bit of volume, and has zero clumping. On my cheeks I used Chanel Tweed Fuschia blush, which was limited edition but can still be found on Izzy's Beauty Shoppe if you are dying to own this blush. 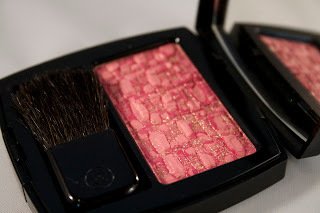 If not, Illamasqua makes a lot of bright, pigmented blushes, as do NARS and Tarte. In any case, a blush of this color definitely needs a light hand, which is something I don't naturally have. 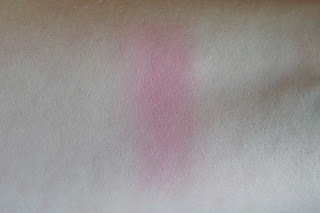 To make sure I don't end up with clown face, I have been using Sigma's F35 tapered face blush (which I love and highly recommend). Lastly, I used Diorskin Forever Flawless foundation applied with a Sigma F80 brush. I've heard people talking about how great the F80 is for what seems like years, but I genuinely didn't think that it could ever make that much of a difference. I finally caved, though, and purchased an F80 and it gives the most flawless finish I have ever seen (far superior to the Beauty Blender). I don't know how I ever lived without it! I also used some of Jemma Kidd's Dewy Glow Radiance Creme in Iced Gold as a cheek highlight, and of course used YSL Glossy Stain #5 in Rouge Vintage on my lips. And, voila! There you have it!